The curiously named Sleeping With Ghosts may sound dark, daunting and gothic but the name is misleading: this is in fact a distinctly appealing, fruity vanillic scent that while linear and monothematic, is immediately touching and uplifting. It is a composition dominated by a sweet, spectral vanilla suggesting poignant memories; a lover’s body that has graced your sheets but has now gone, leaving nothing but the sensation that they are still there… just traces. These are the ghosts that the perfumer seems to be alluding to; those feelings of infatuation, happiness and spontaneity that love and reminiscence evoke, and a sense of yearning for those feelings again come springtime. If vanilla is usually custard yellow, this is pink ivory white: pitched higher on the musical scale, creamily fruit-tinged, an insidious, addictive smell that dominates the scent, fused with barely perceptible touches of leather and vetiver. The beginning of the perfume is the stage I like the best though, as it is all about the vivacious smells of tagetes, peony flowers and, notably, a very bright and deliciously juicy quince, an unusual note in a perfume and one that works perfectly over the softer notes in the base. It is a perfume I would love to wear on an early sunny morning on a winter’s day in London, the fruited opening brisk and optimistic under a crisp white shirt, the softly tenacious sun-licked vanilla note rising up at various points in the day. Despite the slight disappointment I feel in the base notes, when the vanilla becomes a touch too subdued for a fiend such as myself, this is, for me, one of the happiest scents around. I think of Eau Duelle as Sleeping With Ghosts‘ sister, because they share a similarly light vanilla and ease of temperament that is quite different to the more voluptuous Bourbons that we are used to in most perfumes of this type. Eau Duelle is no odalisque: she is a green vanilla, a gazelle of the forest; shy, demure even. She holds something back. Maybe too much so: like many other people who have been underwhelmed by this release by Diptyque, there somehow seems to be something, that indefinable magical extra ingredient missing in the scent, as though it needed just that extra sprinkling of sugar. Nevertheless, the intrinsic duality of the fragrance, in which strangely verdant notes of calamus grass, juniper, tea and elemi contradict the ghostly frankincense and pepper underlying these cool and aerial groves of vanilla, makes Eau Duelle a youthful, spritely scent, delicately attractive and understated, the tendrils of chlorophyll cradling the vanilla right into the drydown as the deer disappear back into the hedgerow at the first light of dusk. This entry was posted in Diptyque, Fragrance Reviews, Mark Buxton, Parfums Nicolai, Sweet Little Thing, Vanilla and tagged Diptyque, Fragrance, Mark Buxton, Patricia Nicolai, Perfume, Review, Vanilla. Bookmark the permalink. 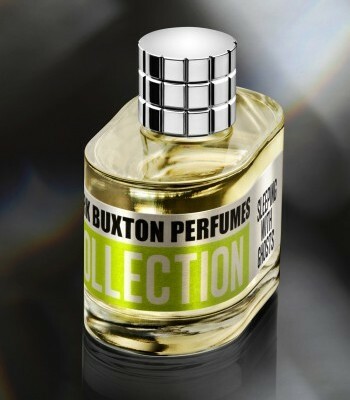 I never had an opportunity to try Mark Buxton perfumes, unfortunately. I like Eau Duelle a lot! I would like it for myself, soft and luminous! 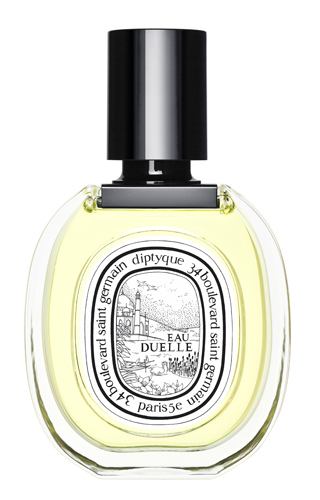 Eau Duelle is a very gentle perfume and I am liking it more and more. The Mark Buxton scents are all just really good SMELLS if you know what I mean; nice, tight, upfront, well-composed smells that grab you. Black Angel is a lovely lime ginger thing that is, like Ghosts, almost absurdly optimistic smelling, and despite their possible lack of nuance, that serotonin-boosting aspect is a big part of the line’s appeal for me. I have been curious about these three for quite sometime (can’t sample everything, you know!). You have described them beautifully, Neil! I think the demure and “holding back” description of Eau Duelle would most match my personality…..
great review! Can’t wait for the next one! Try it, though I worry about that stinging nettle, peppery opening on you…. I would even go so far as to say that it very slightly repels me that opening…that cold pepper green: it reminds me a bit of Calamus by Comme Des Garcons which I also have (do you know it? ): really curious, cottony grass smell full of fresh air and stalk juice…..what amazed me though was how beautifully delicate the vanilla eventually is. The name of the scent is spot on. I remember I wore it to school last year thinking it was this subtle green thing: by the end of the day though I smelled like I was traipsing about in a vat of vanilla ice cream and dripping it all over the floor. It steals up on you. never tried Calamus but surprisingly love Eau de Camille (which is very green to me) and also wore and received many compliments on Gap’s discontinued Grass (which is super-green). I also love Eau de Camille! It’s kind of simple, but sometimes straightforward fragrances are a nice thing to wear. Vanille Tonka is a gorgeous perfume. I got a leftover sample from a friend and I totally enjoyed it. Cozy, spicy, sweet, stunning. I must confess to only having worn it once or twice (sprayed on at the boutique): I would like longer to live with it and get to know it even better. Is it ultimately as thorny as some of her other scents? I want Sleeping With Ghosts just for the name. I’d love to try Vanilla Tonka as well. It sounds wonderful. The last two reviewed here come under the heading of ‘really want to love but don’t’, maybe the Mark Buxton chould be my way forward! It is a wonderful name, but I am worried this maybe a touch too -um- restrained for me… wonderful reviews again! It is not restrained at all: rather bright, cheerful, sweet-like, and really, really fruity, but in a snappy, original way. I don’t know if I would fork out for a full bottle, but it immediately gives me a boost every time I try it on. I enjoy your reviews so much! They make me want to sample everything. Vanille Tonka is my favorite vanilla; love everything about it, from the lime to the smoky frankincense. I’ll have to give Eau Duelle another try. mmm, but it DOES have that unappealing, peppery green beginning that I find a bit difficult…I do just love what comes after though so it is worth the wait for me. Suzanne, make mine sultry as well! That is why I have practically drained my huge 100 ml parfum bottle of the first vanilla I reviewed in this series, Vaniglia del Madagascar by SS Annunziata. I practically drink the stuff! Another vote for dark sultry vanillas! I wis h that you would extend your series to allow time/space to go into this subcategory. I’d love to hear your perspective on some of my own favorites. Keep up the great work. Thanks very much. I would also love to know what your favourites are……what are the ultimate dark vanillas? Me too! But as you say, it might be a touch on the sweet side for you I would imagine. Think of it as Caspar. Now I have to try Vanille Tonka – you made it sound so interesting, Neil ! Hi Neil, Thanks for another great installment! I love the sound of Buxton’s Sleeping with Ghosts. Will add it to my ever-growing list of perfumes to seek out and sniff! Also going on the list is Vanille Tonka, which I have never tried. I like l’Eau Duelle, but I can see what Tara means by “thin.” What it smells like to me? When I was a kid, on my way back to my grandparents’ apartment in Chinatown, we would always pass a street stand that sold hot, fresh tofu and grass jelly. Both were topped with a warm vanillic kind of thin syrup. That’s what L’Eau Duelle smells like to me: That cool, almost black grass jelly topped with syrup. It’s curious number, for sure. Yesterday I decanted some into a smaller bottle so I could minimize the green and up the softer tones (why does that happen when things are dabbed rather than sprayed?) It was GORGEOUS. An enveloping, soft vanilla. I am thinking it could become one of my musts…. Eau Duelle is light vanilla that can be used even in the hottest summer. I like it’s masterful creamy vanilla-frankincense pairing. Now I’m very interested in Sleeping with gosts (I don’t know what the ghosts have to do with it) becouse of the use of quince. First tought when I’ve read that was: Light quince compote ;-). I shoud give Vanilla Tonka one more try. Such lovely writing, thank you for sharing! Vanilla has never been quite my thing (though I do wear and love SL Un Bois Vanille), but now I think I will have to give it more attention. Sleeping with Ghosts (what a name! ), sounds absolutely lovely, any idea where to get a sample? But Un Bois Vanille ( which I adore(d)) until the reformulation is so obviously vanilla-packed I am sure there must be other vanillas you would like. Having said that, the sawdusty coconut swirling gorgeousness of that scent is kind of one of a kind…. Very much enjoying your Vaniila series Neil, very much so. Tell me, have you reviewed the Body Shop’s Madagascan Vanilla yet? My daughter bought me a bottle for Christmas and I think it’s rather nice. Keep up the good work! Oh Bois Vanille is delightful. I will wear it from time to time though it is not like my regular scent. My friend – less keen – thinks it smells of Baileys! (Well what is wrong with Baileys?!) It is a delicious fragrance. Thank you. More please! I can see the Bailey’s thing actually….